Home › Blog › Why do customers say they want a 125kv High Voltage Cable? 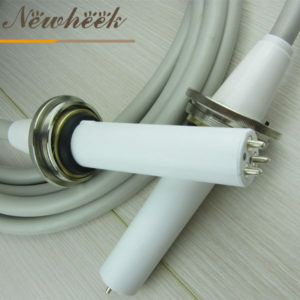 Recently, many customers have consulted about High Voltage Cables. When asked what specifications customers need, they always say that they need 125kv and 150kv High Voltage Cables. In general, the customer is talking about High Voltage Cables for 125 kV and 150 kV X-ray machines. The 90 kV High Voltage Cable is suitable for 150 kV X-ray machines. The 90 kV High Voltage Cable can also be used on CT scanners. When the customer asks this question next time, we can give a good opinion and give the most appropriate recommendation, showing our professionalism. At the same time, if customers have higher demand, the 90kv high-voltage cable can be used for X-ray machines below 150kV.